User Columns comprise users of your database. For instance, if you want to assign a task to your staff or your team member, who is TeamDesk user, you should choose the User type column and the list of users will be suggested automatically. If a column comprises the data that don't look or behave the way you want, you may edit column General Properties and the properties defined by the column type. You can set the Current user option in the General Properties and the current user value will be inserted by default in this User field, when a new record is created. Select Sort choices alphabetically if you want to display options in the alphabetical order. When the Help text property is filled in, the question mark is displayed near the field name on the View/Edit form. If you point to this question mark, the pop-up with a tip or a help text message will be shown. Please note that the Default User Set is comprised of users form the user list where the Default Set checkbox is checked. 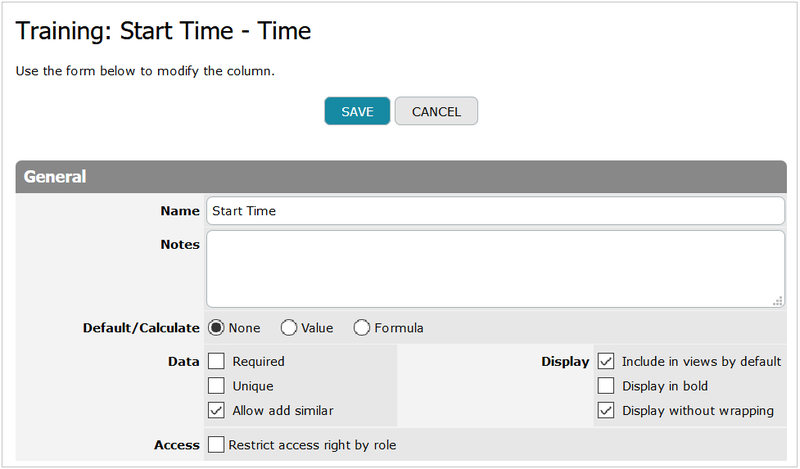 In case the User Property table is created, every User column includes the User Properties section. In this section you can create lookups to the information stored in the User Property table directly from the column form. 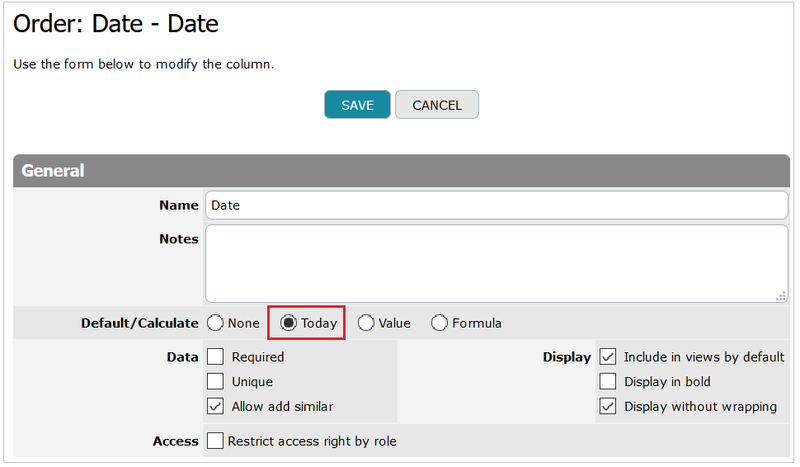 To add a lookup, click on the New button and select a column from the User Property table you want to refer. Copyright © 2005-2019 ForeSoft Corporation. All rights reserved.